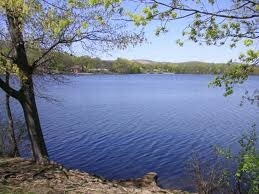 Just beneath the great Ramapo mountains lies the small quaint town of Pompton Lakes, New Jersey. In the heart of Passaic County, just 20 miles outside of Manhattan, this cozy community exudes an idyllic picture of pleasant suburban life. This close knit community is home to some 11000 residents. 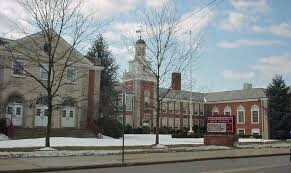 Pompton Lakes’ community spirit speaks with great volume, casting a warm and neighborly radiance. The light of fraternity comes donned in a football helmet, as the Pompton Lakes Cardinals, the high school football team, are a famous staple within the area, entertaining residents for generations. Also, there is a public library which maintains many programs and reading groups for both children and adults. The Pompton Lakes Recreation Committee organizes many group activities as well as the summer sports at St. Mary’s and other classes at the civic center and Elks Lodge. The teen center with dances and events is also run by the committee. Of the many events in town, a favorite is Pompton Day. This is the town's major end-of-summer event which takes place every Labor Day weekend along the lake, with popular events and vendors and a fireworks show ending the day. Similar popular events are the Holiday Stroll, The Memorial Day Parade, and Trick-or-Treating downtown. While just a short distance from New York city, the natural attractions in and around town make you feel a world away. Pompton Lake is a 175-acre man made lake fed by the winding Ramapo River, and presents some truly stunning and tranquil views. In the northernmost part of town lies the 4200-acre Ramapo State Forest, with activities to suit almost any fancy such as hiking, hunting, fishing, canoeing, horseback riding, cross country skiing, and mountain biking. Pompton Lakes, where the pastoral meets the cosmopolitan. A picturesque village with illustrious features and amenities for all.